During our college days, we used to meet up many other friends studying in other colleges.When comparing with the other colleges we used to feel very happy, about our college. Great !! To learn New things, really Practical. I must say my College is best ever . Management, faculty and every thing is perfect. I really happy that I'm a part of this college. 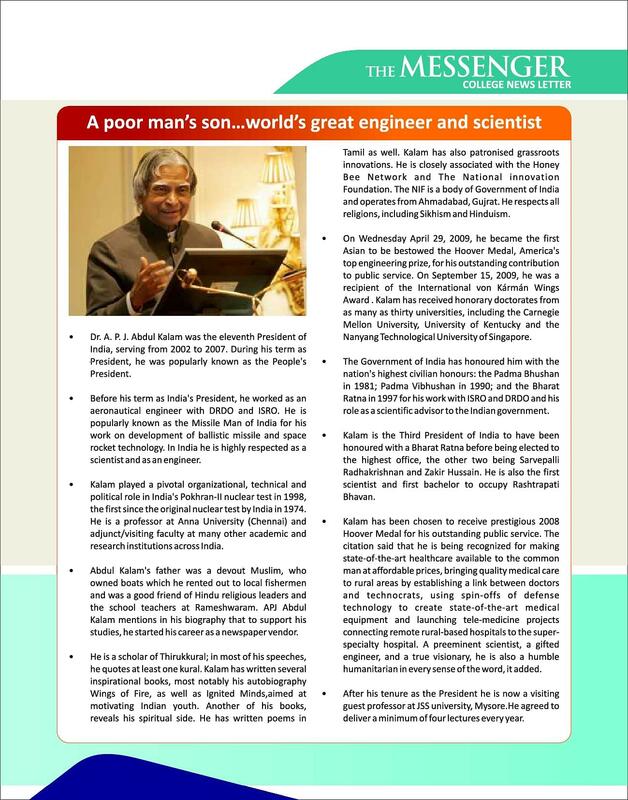 Al Habeeb College of Engineering and Technology is an educational institution run by the charitable trust, Al Habeeb Trust. It is an ISO 9001-2008 certified institute. 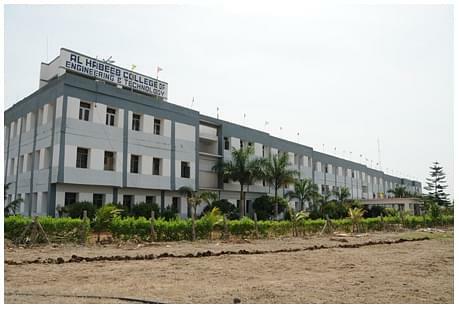 It has the reputation as the first institute that promoted intra-continental education in Hyderabad and the first institute which introduced petroleum engineering. 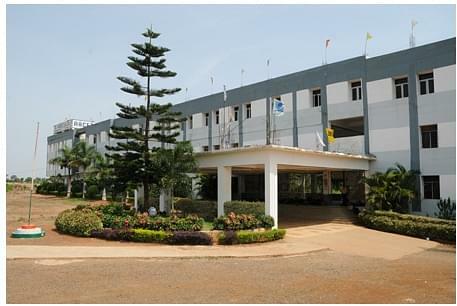 The institute has developed into one of the prominent engineering colleges in India just within a decade’s time. Recently it has achieved the reputation as one of the first institutes to publish its own research papers. 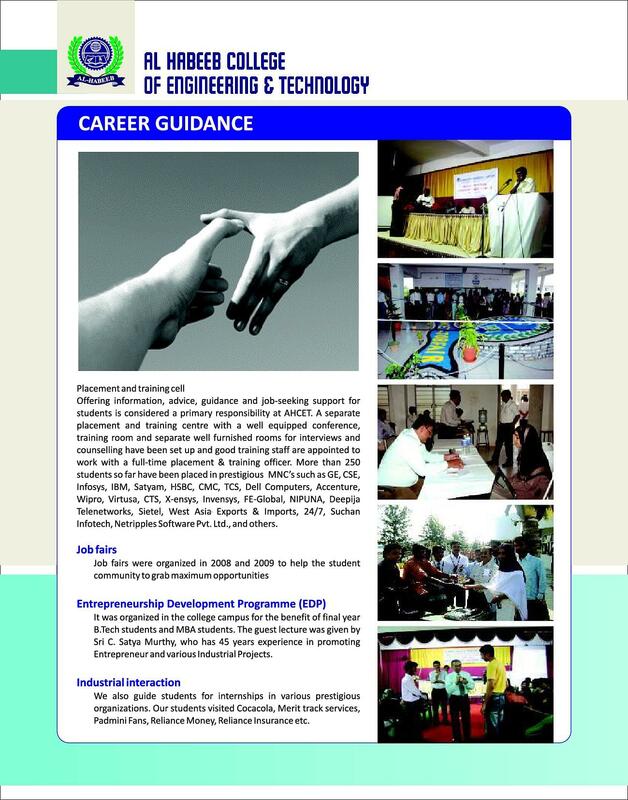 Why to join Al Habeeb College of Engineering and Technology? 1. Exemplary Achievements: The Al Habeeb College of engineering and technology has been a part of numerous achievements that not only enabled the college to grow but also the students too. The college bagged 6 University ranks under “A” Category by Jawaharlal Nehru Technological University, Hyderabad. More the 630 distinctions and 720 first class holders have been produced with a consistent track record of securing 90%+. 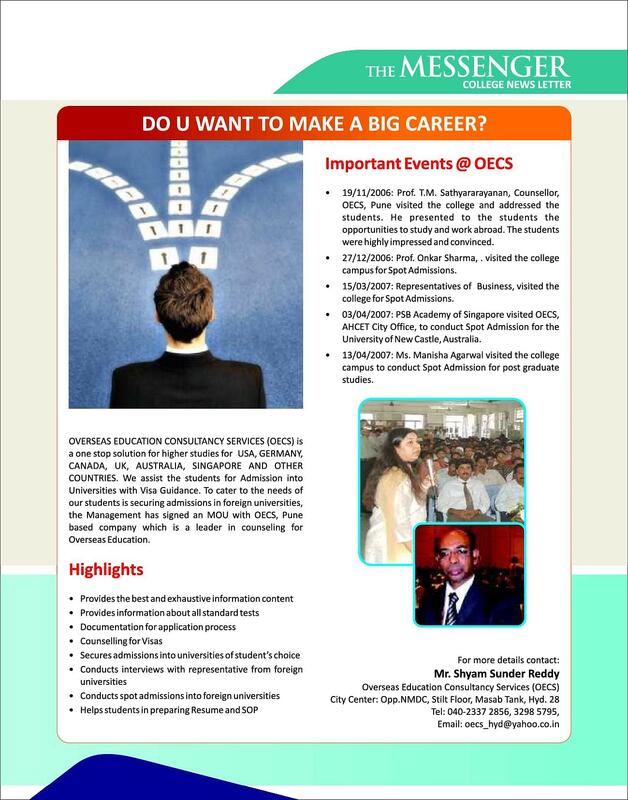 With respect to placements, around 55% of the students have bagged placements in several MNCs. 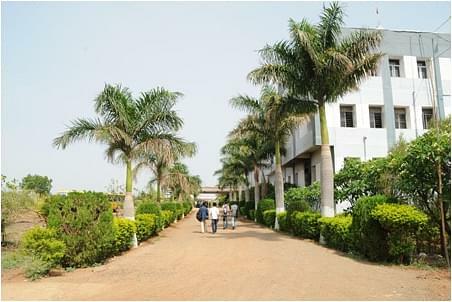 To promote a natural and ecofriendly environment, the college has planted above 1500 trees, plants, etc… their campus. 2. 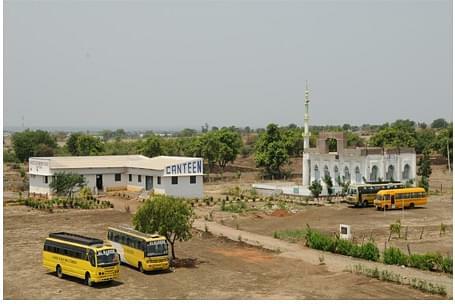 Formation of several cells and centres: To encourage students and aid them in gaining end to end assistance, the college has formed numerous cells and centres namely, counseling centre, administrative cell, Grievance cell, examination cell, soft skills development centre, leadership development center, entrepreneurship development cell and technical skill development center. 3. Corporate exposure through summer internships: The college firmly believes in providing corporate exposure and real life practical experiences for students via summer interships. The college has signed an MOU with some of the notable and prestigious MNCs. "Good college with worst administration office staff"
I wrote EAMCET and scored just 56. I opted for this college because it was good amongst other minority colleges. 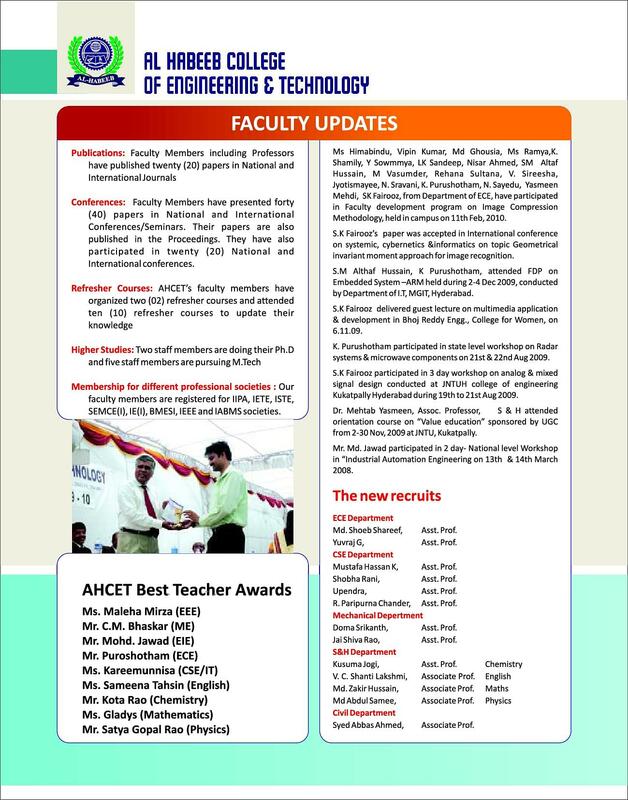 EAMCET,I scored the rank of 84,488.This college is famous for its descipline, n studies, passing percentage.